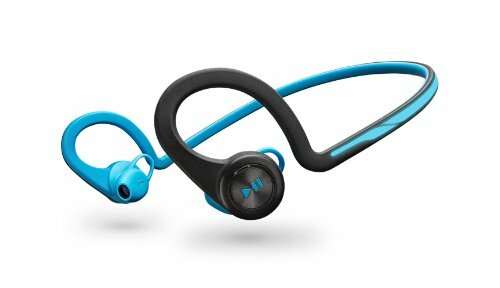 For runners, listening to songs is a favorite part of their day while using Bluetooth Headphones for Running. As technology advances, headphones keep evolving to suit more to your comfort and usage for a better user experience. Thus, to remove the hassle of untangling headphone wires, Bluetooth headphones are just the thing that you should be looking for. These are undoubtedly for the comfort seekers and the impatient UN-tangles since it saves you the hassle of dealing with wires. Moreover, since the music plays on Bluetooth, the sound delivery is in most cases very accurate. If you are a runner who has to face the hassle of fixing headphones every now and then while running, simply switch to wireless headphones. They are engineered to hold on to your ears and give the best music experience ever. Now let’s take a look at the ten best headphones for running in 2019. Just when you think to yourself that you need headphones while running for the best music experience, Under Armour comes to your doorstep. Dropping the best Bluetooth headphones for running in collaboration with quality from one of the best electronic sound devices maker, JBL. With the fusion of design from UA, one of the best sports-based clothing company and the quality control of JBL, the JBL Under Armour Wireless headphones might just be the thing you need. The specs are given below. Design: Firm and greatly fits in your ears. Connectivity: Easy to connect to phones. Sweatproof: The name says it all. You will love the way it stays in your ears. It is sweatproof and water resistant. The sound quality deteriorates in case of music with lower pitch. The middle button cannot be felt easily, goes unnoticed and thus is hard to press. Lightweight: The headsets are very lightweight. Design: U shaped design for attaching to the back of the head. 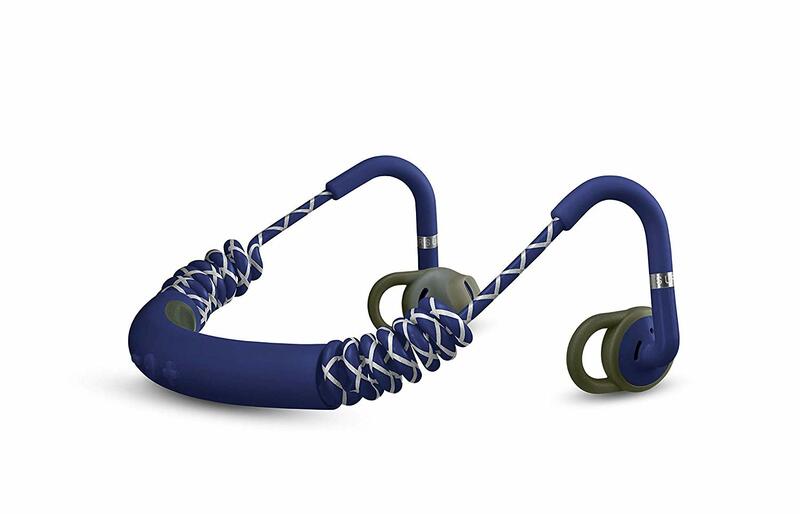 Stretchy Coils: These coils help to attach more firmly to your head while running. Button Placement: The buttons are placed on the neck. 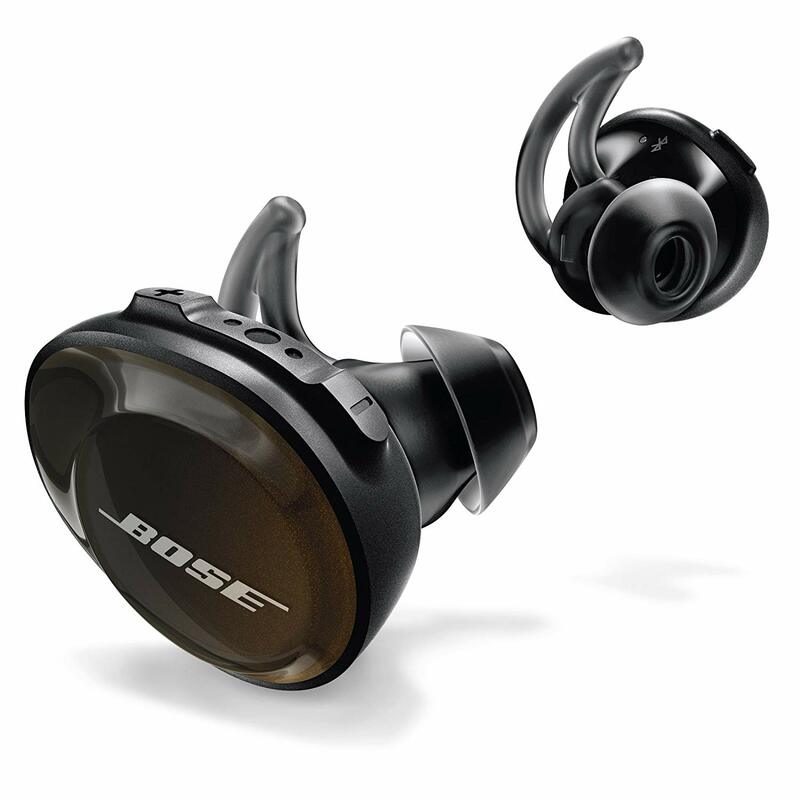 Really lightweight and earpads are designed to adjust to the sound around the runner in the urban area. The coiled wire removes any hassles related to dangling wires. The headphones offer a good fit but still don’t seal off external sounds completely. They also do not have rich bass support for the bass enthusiasts. Call quality is not satisfactory. Design: It has a lightweight silvery look with a flexible rubbery silicone wiring. Durability: With IP57 rating, it is the most durable the market can offer. The most durable, from getting rubbed on uneven surfaces to staying in one piece under high pressure. The headphone has a great 7-hour battery life with a 14 hour of standby mode duration. Sound quality is not up to the mark for bass depth. Connection drops frequently after initial usage of several months. Battery life: An astounding battery life of 14 hours. Ear cushions get stinky in case of other headphones but for Hellas, it is easier than you can guess. They are disposable and so whenever they start to smell, just put them in the wash. It has an impressive battery life of 14 hours. The sound does not have good bass covers on high scales. 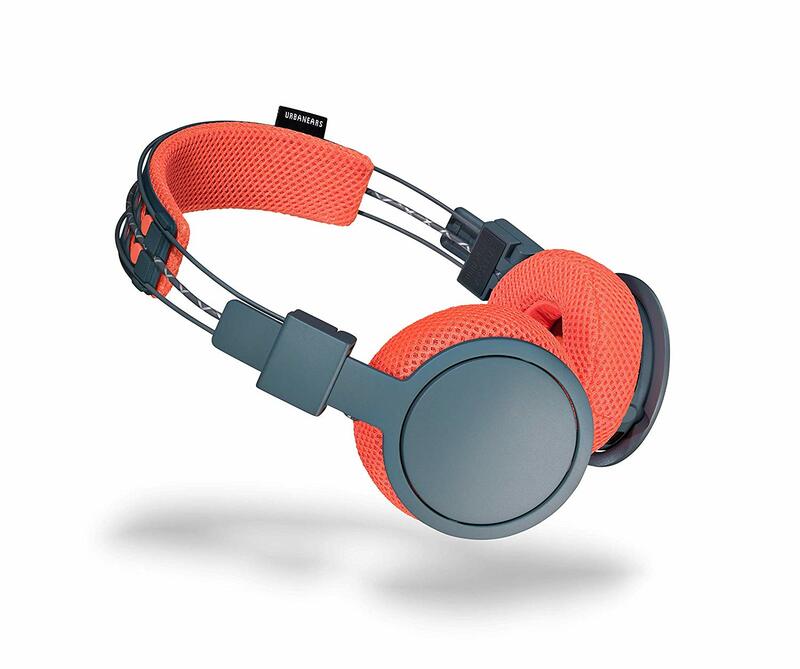 Design: The headphone is very lightweight with a rubber coating. Bone Conduction: It sends sound waves through your cheekbones to your ears. Durability: It has an IP55 approval with sweatproof technology. LeakSlayer Technology: This enables sound leakage in the surroundings. Call Quality: Dual noise cancelling mic. Bone conduction technology keeps your hearing senses on the street while enjoying music. Preset equalizer to boost sound quality. Despite the LeakSlayer technology, sound pollution occurs. Ulterior bass: It has a tremendous bass support, the signature quality of Beats. Comfort: It has a hook-like structure that can be adjusted according to ear size. Apple W1 Chip: This enables Apple users to connect by enabling pairing options or holding them close enough to the device. Long Range Connectivity: Connectivity up to 100ft and 75ft with obstacles in the linear range. Impressive battery life and astounding music quality. Too bass oriented and loud for mid and low lovers. 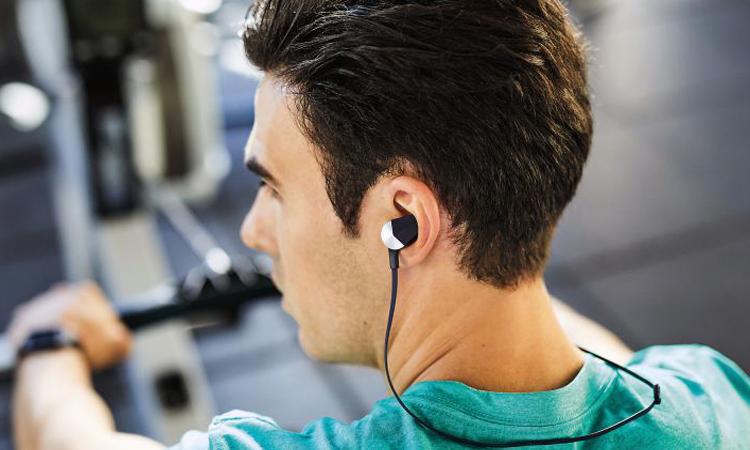 StayHear+ Fit: Regardless of the size, the headphones stay in place. Durability: It is sweat and water resistant. NFC Compatible: Compatible with NFC along with Bluetooth primarily. Optimum sound quality for the price. Design: Eartips are very lightweight. Apple W1 Chip: Enables fast connection to Apple devices. Lightning port: Enables fast charging. Magnetic ear tips: Helps avoid tangling of wires. No connection drops and easy connectivity. Sound quality is balanced but not intensified. Imbalanced design and long wires. Design: They are truly wireless making them almost free of any wires. Fast Charging: 5 minutes accounts for an hour of charge. Built-in app: The built-in app is designed for enhanced sound quality. Durability: It is sweat proof and water resistant. The ear tips are probably never getting out. Sound quality is okay compared to the price. 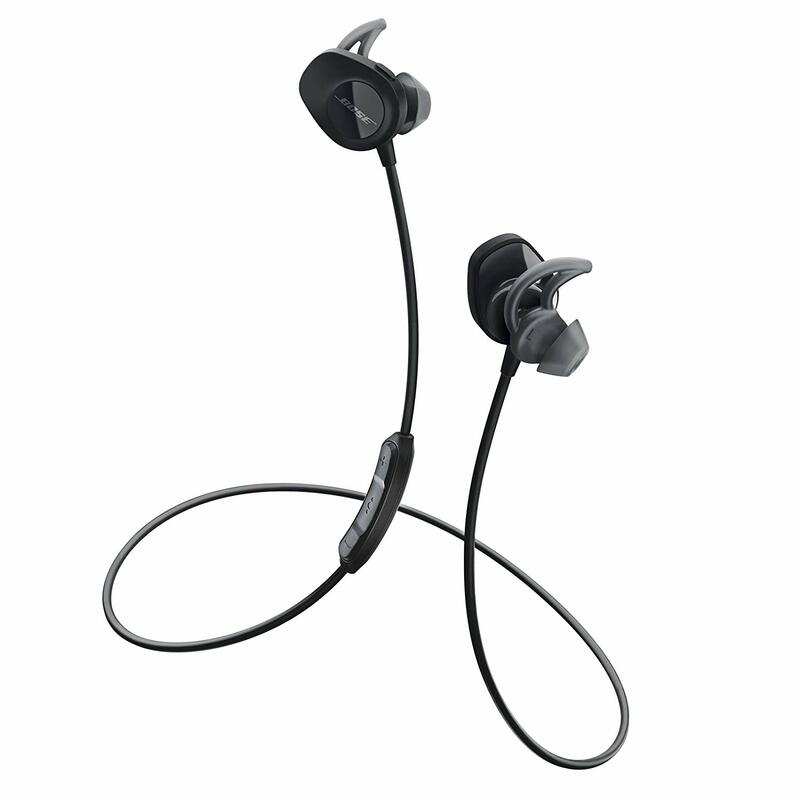 Design: These are truly wireless and are thus made to provide the best comfort. 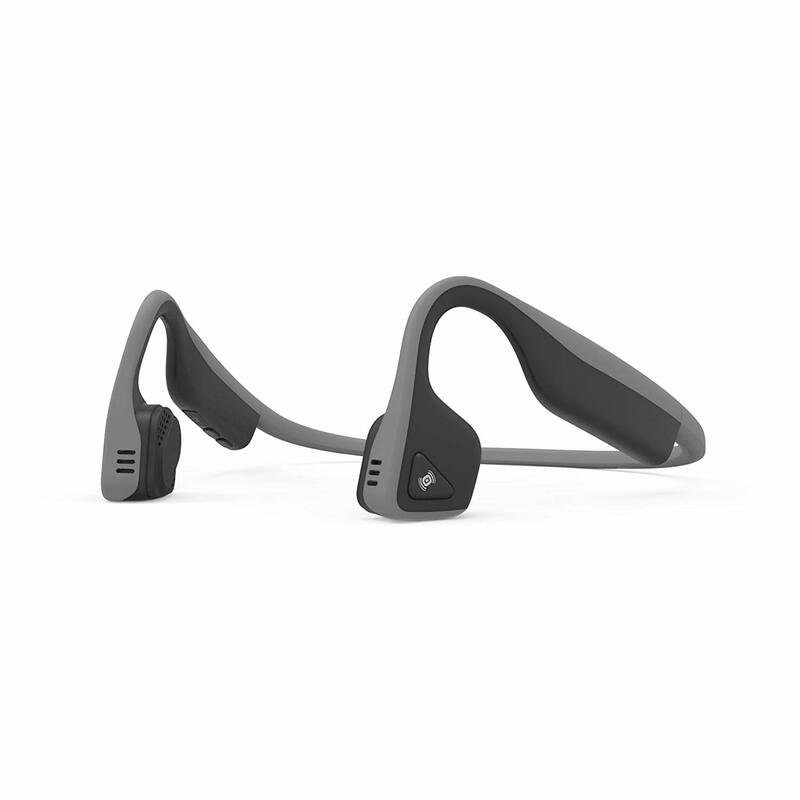 StayFit+: This enables a better hold on your ears while running. Find my Buds: The Bose Connect app enables to find out buds when they are out of sight. Battery life: A total of 5 hours in primary and 3-4 hours in alternative ones. Built-in App: The Bose Connect app enables nicknaming and connecting easy. Improved Bass: The bass quality is amplified for runners with a fetish for bass boosts. Uniform Sound: The mid and lows of the headphones are uniform and good but still needs more intensification for ultimate satisfaction. It has an interactive app for finding the app, nicknaming and easy connection. They do no support aptX and thus create an audio-visual lag. The buds may lose connection now and then. 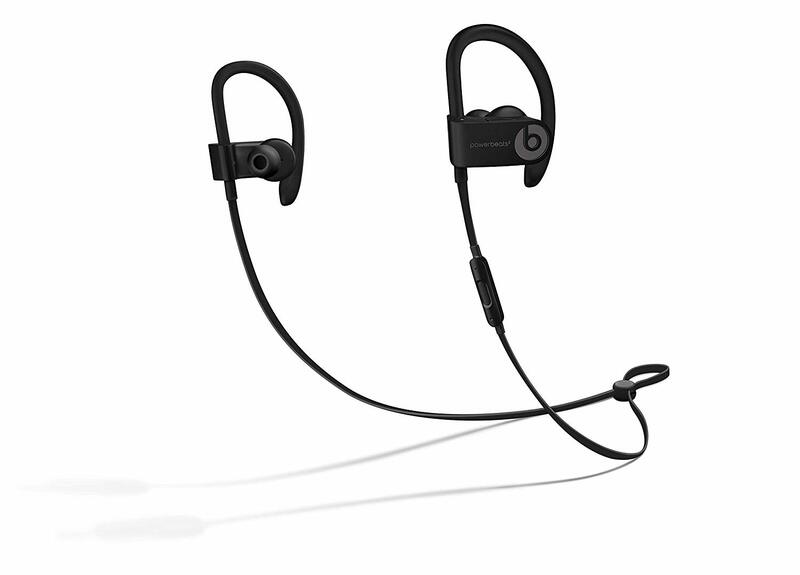 In the end, this list features a range of Bluetooth headphones for running purposes. 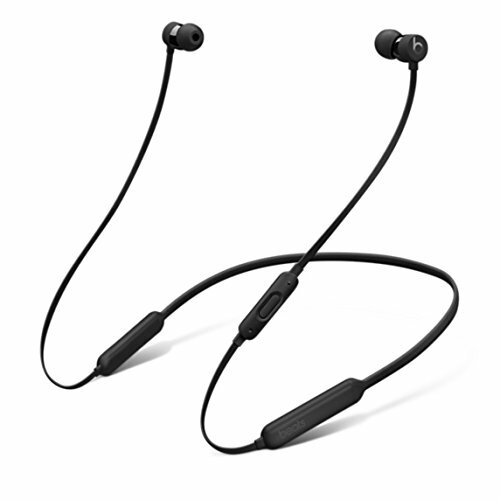 For mid-range buyers, the BeatsX, Bose SoundSport Wireless and Urbanears are appreciable as Bluetooth headphones for running. 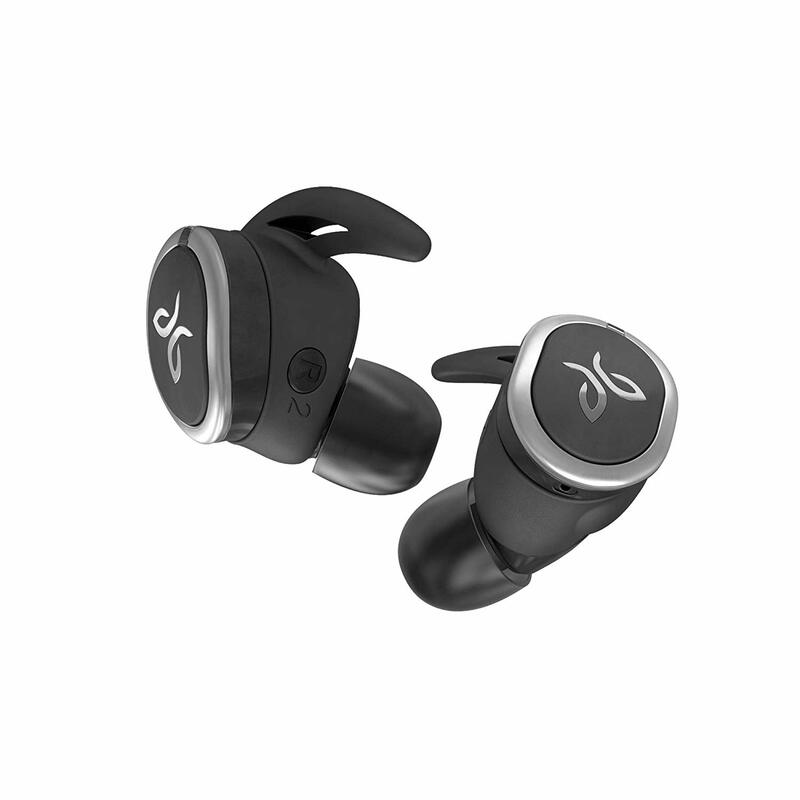 The best of Bluetooth headphones, that is, The Jaybird RUN and the Bose SoundSport headphones totally take the lead despite setup and connection issues. On the other hand, Aftershokz clearly takes the lead with a different target market where bone conduction made the differentiation. 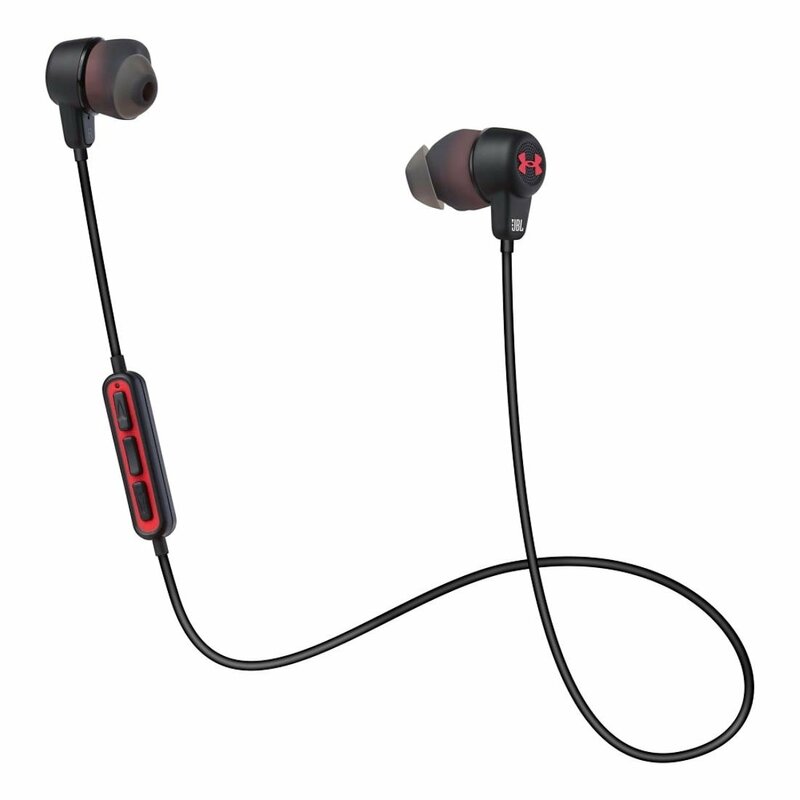 Similarly, Urbanears Hellas on-ear headphones is an exception in the market of Bluetooth headphones for running. All in all, they each serve to meet different needs.